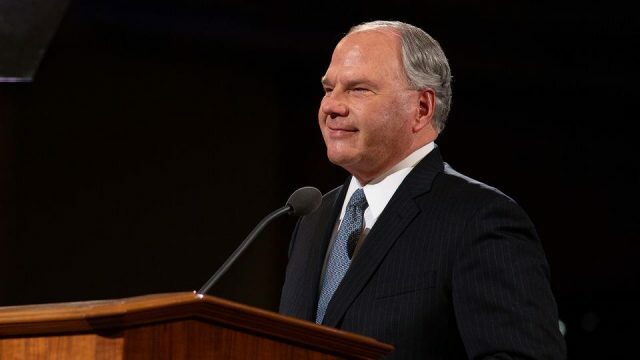 Elder Ronald A. Rasband of the Quorum of the Twelve Apostles encouraged teachers to “talk to teens about suicide and love them out of considering suicide as a solution to their pain.” Elder Rasband spoke to 50,000 seminary and institute teachers in a devotional on February 8, 2019. For those seeking help, the National Suicide Prevention Lifeline can be reached at 1-800-273-TALK. The Church of Jesus Christ of Latter-day Saints also provides suicide prevention resources at suicide.lds.org (also in the Gospel Library app in the Life Help section). Elder Rasband said a teacher’s best approach to fostering hope is to tap into the healing and enabling power of the Savior. Resources about suicide on LDS365.